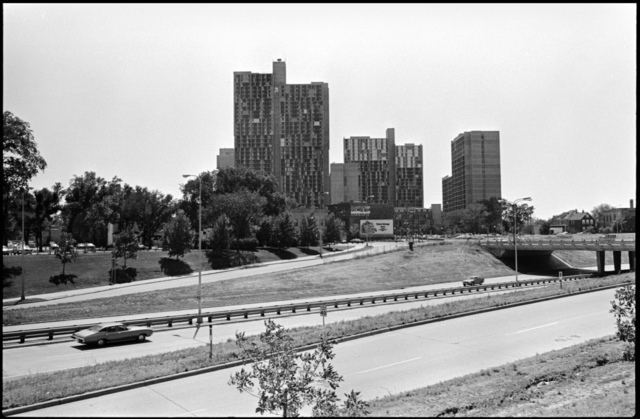 Under the Demonstration Cities and Metropolitan Development Act of 1966, Minneapolis was chosen in November 1967 as one of sixty-three cities nationwide to participate in the federally sponsored Demonstration Cities (Model Cities) Program. The program's goal was to implement a total attack approach on the social, economic, and physical problems of a specific area of the city. 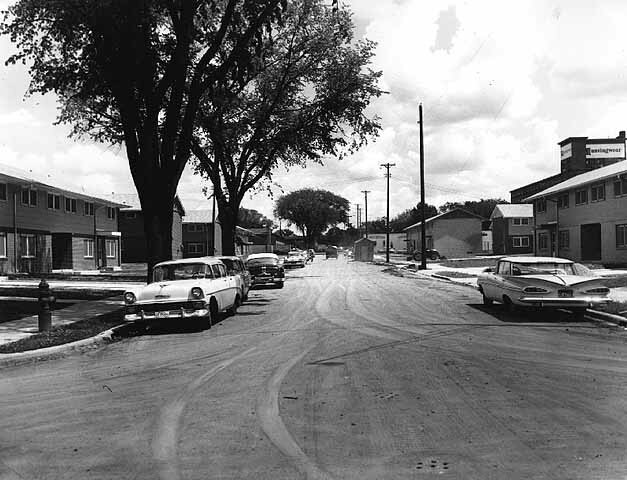 With funding from the Housing and Urban Development Department (HUD), The Minneapolis Model City Program concentrated its efforts in a mixed racial area south of the central business district (the "Whittier Neighborhood") that suffered from high unemployment, crime, poverty, and housing and educational deficiencies. The program worked with the community to improve the areas of manpower and job development, economic and business development, transportation, communication, housing, environmental protection, recreation and culture, health, education, social services, and crime and delinquency. Funding for the program was abolished in 1975. The records document the policies, decisions, and day-to-day activities of the program and its relationship with numerous government units and private social service organizations active in the program area. They include correspondence, minutes and motions of the executive board and policy and planning bodies, subcommittee and core group files, reports, memos, election materials, newsletter, policy statements, monthly and staff work reports, and subject files. Minneapolis, MN: Model City Public Information Office, 1971. Correspondence, memoranda, minutes, conference papers, monographs, theses, newspaper clippings, and printed materials documenting a telecommunications expert's work with many governmental and private organizations in developing cable television service and other telecommunications programs. The collection contains correspondence, memoranda, minutes, conference papers, monographs, theses, newspaper clippings, and printed materials documenting Shafer's consultation with several clients including the Minneapolis Model City. This collection also contains a file on Minneapolis' Model City cable program (1971-1973). Model City Architecture, by Charles Nelson, 1945. Bylaws, minutes, correspondence, project reports, newsletters and other records of the West Bank Community Development Corporation, an organization formed in 1975 to promote neighborhood control through resident-based redevelopment of the Cedar Riverside neighborhood of Minneapolis, and that worked with the Cedar Riverside Project Area Committee (PAC), the New Riverside Cafe, and other organizations in the area. Bylaws, correspondence, minutes, reports, projects, financial statements and other records of the Cedar-Riverside Project Area Committee (PAC), which was created out of community need in 1971 and became the official citizen review organization authorized to approve all development activities taking place within the Cedar-Riverside neighborhood of Minneapolis and send them to the Minneapolis City Council. In 1998 the Cedar-Riverside PAC changed its name to the West Bank Community Coalition. Personal, political, and official papers documenting the life and career of a gay activist and Minneapolis (Minn.) city council member. Portions of his papers relate to the Cedar-Riverside area. Records documenting the history and operation of the first full service vegetarian restaurant in Minneapolis (Minn.) and the earliest collective enterprise of the cooperative movement that occurred in the Twin Cities region during the early 1970s. The majority of the records relate to the cafe's operation during the 1980s and 1990s and the bulk of that material documents the organizational structure and interpersonal dynamics of the collective. These records, particularly the collective meeting minutes and log books, reflect the collective's ongoing struggle to balance the need for individual freedom against each member's responsibilities towards the collective as a whole. The collective's efforts at financial and long range planning are also documented, as well as its work with personnel policies and training. Recycling the Central City, by Judith Martin.